1. Drain all liquid off the tomatoes. Add basil and mix together. 2. 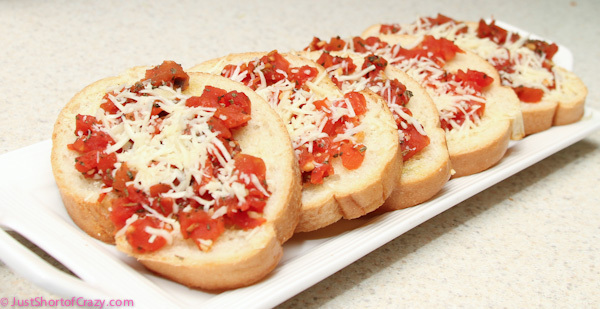 Brush each slice of bread with a bit of olive oil and top with a good helping of tomatoes. 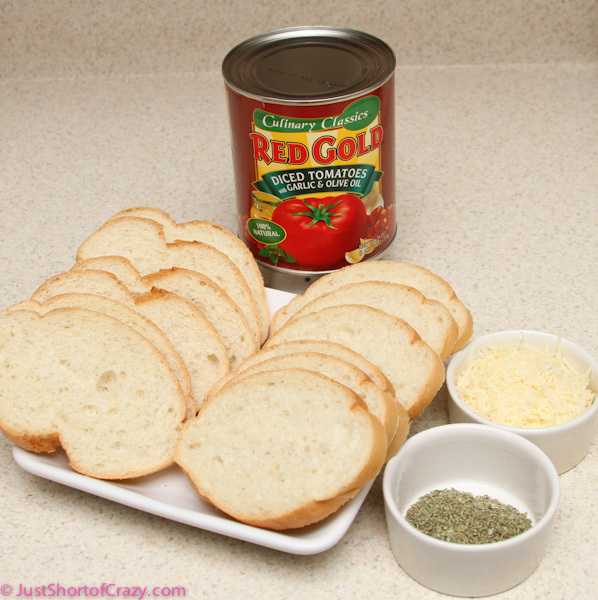 Pop in the oven at 350 for 5 minutes or until bread is toasty and tomatoes are hot. Remove from oven, top with cheese and return then place back in the oven and heat until cheese is partially melted. 3. That’s it. You are done! Now, try to contain yourself and only eat a couple slices. It’s so hard to do. The Red Gold tomatoes are just so tasty. 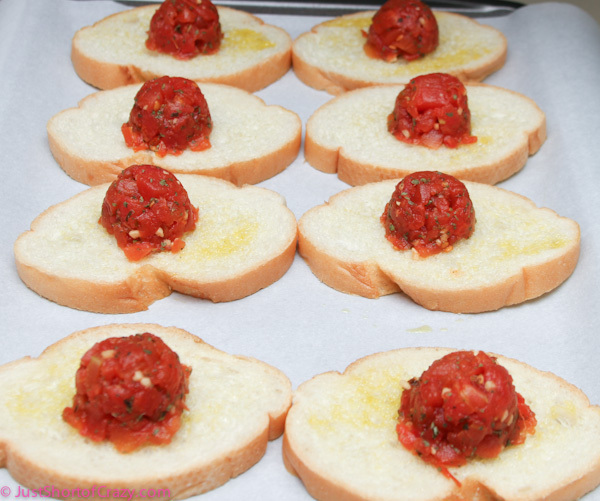 **Note: For an even tastier treat let the tomato mixture marinate for a couple hours in the refrigerator before baking. 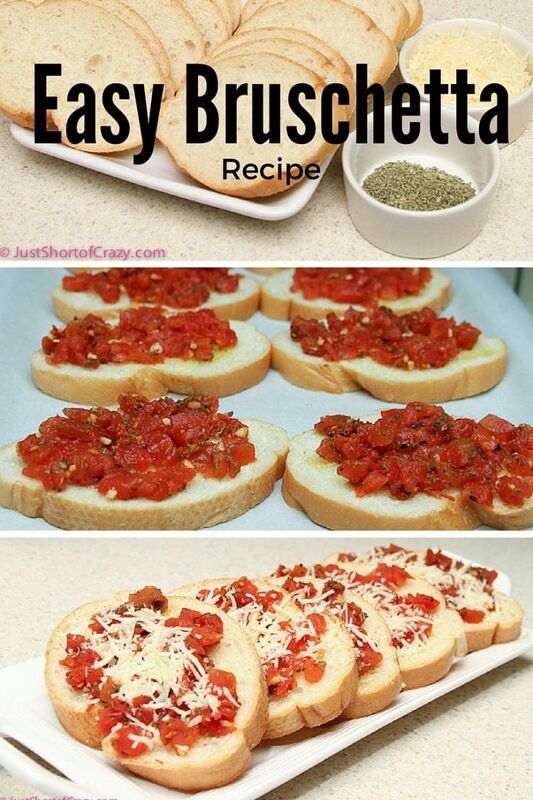 Yummy, I love bruschette, and this looks so easy! I didn’t even know you can just tell the bakery to slice up your bread for youâ€¦what a time saver. 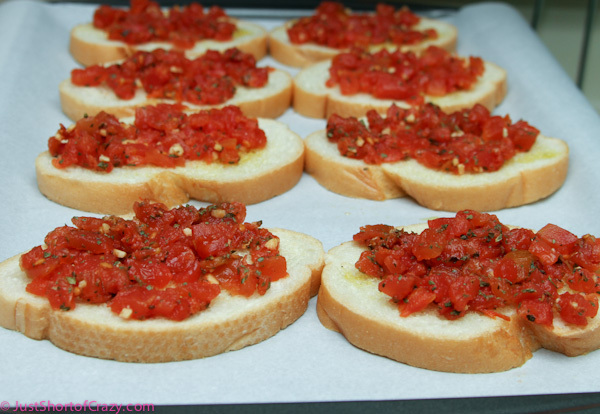 I love Bruschetta. So yummy, and easy. Great for appetizers. I stumbled this!